« When is a parallel a real parallel and not parallelomania? Nakht escapes from the clap-net in which the divine ‘fishermen’ seek to trap him (spell 153A). Papyrus of Nakht, late 18th or early 19th Dynasty, c. 1350-1290 bc. On this papyrus the illustrations to two spells, 153A and 153B, appear side-by-side. Both concern the deceased escaping from a net stretched by the gods to entrap her. The vignette of spell 153A, at the right, shows an open clap-net stretched between two pegs, one of which bears a human head. The text relating to this spell contains the deceased’s declaration of knowledge of the components of the net, by means of which she avoids being caught in it. . . . To the left is the vignette of spell 153B, ‘for escaping from the catcher of fish’. Three gods are shown hauling on a large net which they are dragging through the water to catch those who are unworthy of entering the next world. Homer. 1946. The Odyssey. Translated by E.V Rieu. Ringwood, Vic. : Penguin Books. 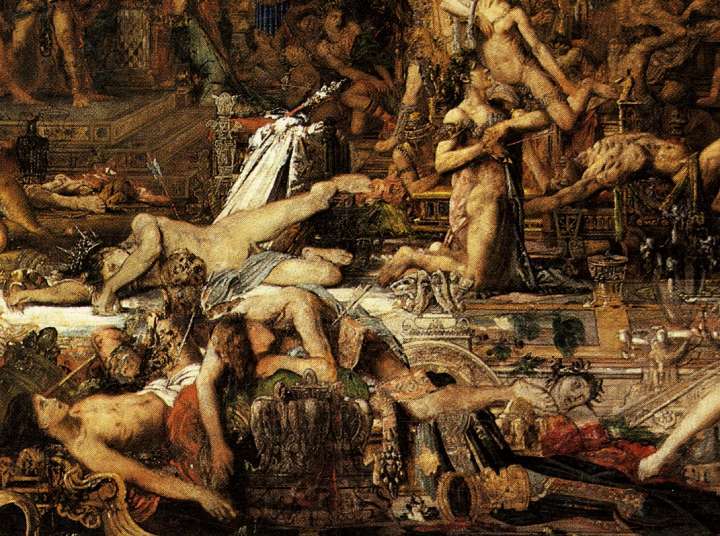 “‘The Suitors’ by Gustave Moreau.” n.d. Accessed November 29, 2018. http://www.victorianweb.org/decadence/painting/moreau/12.html. Taylor, John H., ed. 2010. 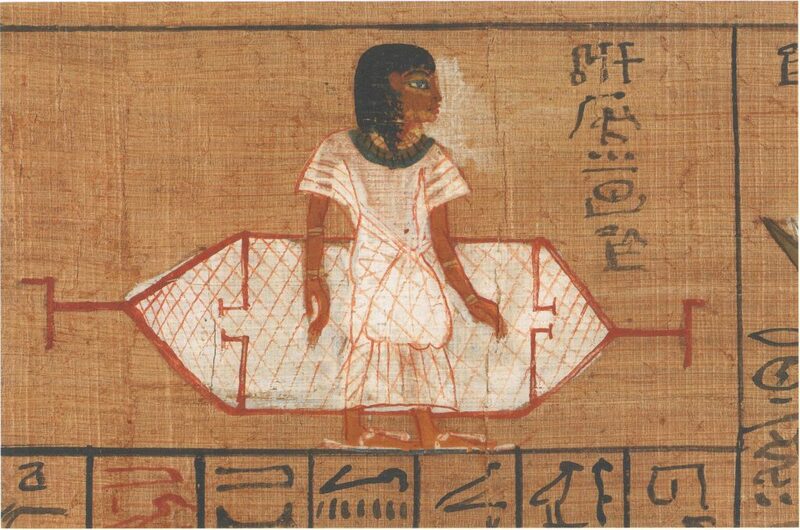 Ancient Egyptian Book of the Dead : Journey through the Afterlife. London: The British Museum Press. Posted on 2018-11-29 07:38:56 GMT+0000 by Neil Godfrey. This entry was posted in Uncategorized and tagged Atwill: Caesar’s Messiah, Parallels. Bookmark the permalink. 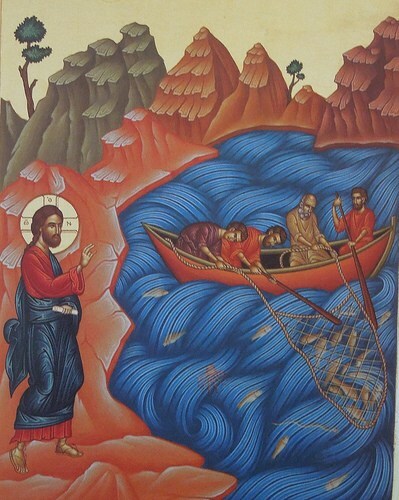 Jesus saying he will make the fishermen fishers of men is probably not true because there are passages in the New Testament (or used to be) where Jesus asks his friends to keep secret what he is doing. The stories of them going about the countryside to spread his religion and mission should be viewed as Christian propaganda.